SITEX is the premier provider of uniform and linen services, mats, mops, custom apparel, promotional items, screen printing, embroidery, and restroom and hygiene services in Kentucky, Indiana, Tennessee, and Illinois. Choosing your uniform and linen service provider can be a big task, but SITEX will be your right choice every time for all of your needs. We strive to be the very best in the industry by providing product quality and customer service of the highest standards. Every order. Every time. What makes us different? Our team members, our technology, and our products and services are what make the difference. We have the best, most skilled, and well-trained team members in the industry. Our customers are the best and we strive to continually provide them with the best products and services possible. Our technology is the leading technology in the industry and provides you with 100% accuracy through our automated tracking system, SITRAX. Our service footprint spans a 200-mile radius (rough estimate) from our corporate office in Henderson, KY. Founded in Henderson, KY, the Sights family has been dedicated to keeping the heart of SITEX at home. With four branch locations in Jasper, IN, Louisville, KY, Nashville, TN, and Paducah, KY, SITEX is prepared to meet your every need in a timely and complete fashion. Have fun providing outstanding image programs. Founded by the Sights Family in Henderson, Kentucky on January 1, 1961, Industrial Uniform Services, Inc. set out with no business, a shallow line of credit, some very used laundry equipment and one delivery truck to establish a customer base in uniform rental service within a twenty-five mile radius of its plant. With a small but aggressive sales force and a commitment to providing its customers with exceptional service, we grew to 5 routes and expanded our territory to a 75 mile radius within 5 years. In December, 1967, Industrial Uniform Services, Inc. acquired all the rental uniform, linen supply and dust control services of Jasper Laundry & Cleaners of Jasper, Indiana. This acquisition was particularly important to us in two areas: first, by affording a base for our marketing effort in Southeastern Indiana, and secondly, by providing an entrée into the linen rental supply industry. 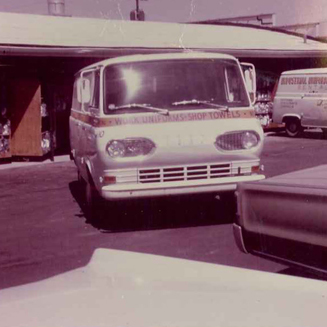 A branch operation was established that same year in Jasper and operated as Sani-Clean Linen & Uniform Service. 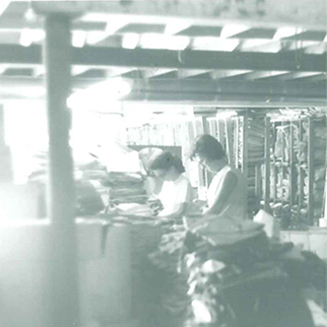 In 1971, because of near capacity at our combined industrial and linen supply plant, a 20,000-square-foot building on South Main Street in Henderson, Kentucky was acquired for the purpose of establishing a stand-alone linen supply plant. The move was completed later that year making room for expanded volume in both the uniform and linen plants. By 1974, our market area had expanded to a radius of 100 miles of Henderson, Kentucky and the services we provided expanded more into linen supply, dust control services, and direct sales. All this in addition to increases in the industrial uniform rental volume. In that year we changed our operating name to Sani-Clean Services in an effort to present a name more encompassing of the multitude of services we provided. In September, 1974, we acquired all of the uniform rental volume and the operating plant of Rental Uniform, Inc. of Paducah, Kentucky. This acquisition provided increased production capacity, as well as providing opportunity for us to expand our marketing territory further into Southwest Kentucky, West Tennessee, Southeast Missouri, and Southern Illinois. In 1982, Sani-Clean Services made a second acquisition in Jasper, Indiana by obtaining all of the uniform and linen rental volume of Fabric Masters, Inc. By this time we had established ourselves as a viable force in the textile rental industry throughout our entire market area. In 1985, property was acquired adjacent to the Henderson industrial plant to provide parking necessary for plant expansion allowing us to consolidate the operations of both Henderson plants. By May 1987, the plant merger was complete with gained efficiencies resulting in sizable reductions in costs. Consistent with our commitment to growth, we established a sales branch in Nashville, Tennessee in 1989. This market area has proven to provide good growth opportunities. Opening this sales branch allowed us the opportunity to expand coverage into Bowling Green, Kentucky, Clarksville, Tennessee, and of course Nashville, Tennessee. This gave us total service coverage all the way from Terre Haute, Indiana through Southern Indiana and Western Kentucky to heart of Tennessee. 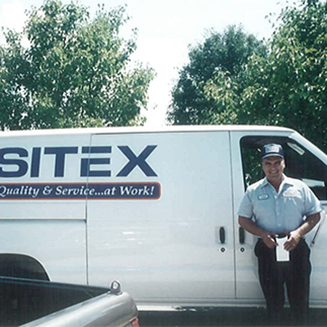 On August 1, 1995, Industrial Uniform Service, Inc. D/B/A Sani-Clean Services officially changed our corporate and operating name to SITEX Corporation. The name SITEX, short for Sights Textiles, is perfect; providing us not only with a new name but also a new image—one that was clean, attractive, and in touch with the times…a name that will be known throughout our market area as the leader in the textile rental industry. 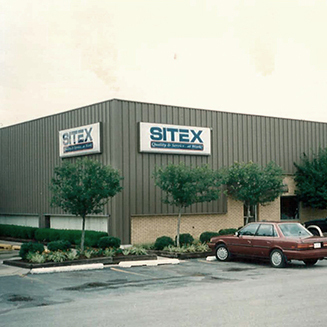 In August, 1997, SITEX established a sales branch in Louisville, Kentucky. This branch location offers good growth opportunities in the Central Kentucky and Southeastern Indiana market regions. With its proximity to our Jasper, Indiana Branch, this location offered an opportunity for a future processing facility. Also, in August of 1997, we acquired Wilson’s Bo-Tie Embroidery, Inc. This business was merged into our company as the SITEX Custom Apparel Department, and expanded our opportunities in both direct sales and custom embroidered rental uniform programs. In October, 1997, we made a commitment to become ISO certified. The guidance team was assembled quickly and the eighteen month process toward total plant certification began. In February, 1999, SITEX became the first and only uniform rental plant in the United States to have all our processes ISO 9002 certified. SITEX team members now look at their jobs through refreshed eyes. Their quest for continuous quality improvement and their documented procedures has resulted in increased operational efficiencies and greater value for our customers. In October, 1998, we acquired all the mat rental service accounts of H&S Mat Service of Bowling Green, Kentucky. That added volume to existing routes in the fast growing South-central Kentucky market area serviced from our Nashville branch location, while also offering opportunities into uniform accounts that were not current customers. In March, 2001, SITEX acquired all the mat rental service accounts of Lancelot Mat Service of Nashville, Tennessee. That acquisition added more volume to existing routes and greatly strengthened our position in the Greater Nashville market area. 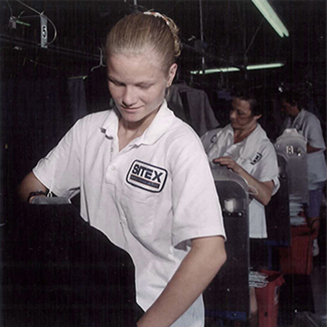 In October, 2005, SITEX acquired most of the linen, uniform, and textile rental business in Western Kentucky, Southern Indiana, and Southern Illinois from National Linen & Uniform Services’ Owensboro, KY, plant. As the largest single acquisition in company history this purchase added six new routes, roughly 20 team members, and greatly strengthened our overall market share. 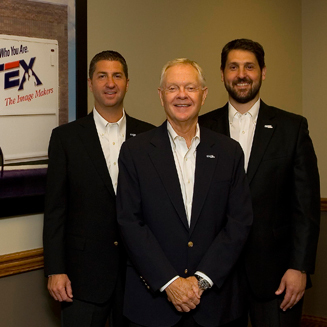 In November, 2006, SITEX acquired some linen business from UniFirst in the Clarksville and Nashville, TN markets. This acquisition added even more volume to existing routes and continued to strengthen our market position in the Nashville area. 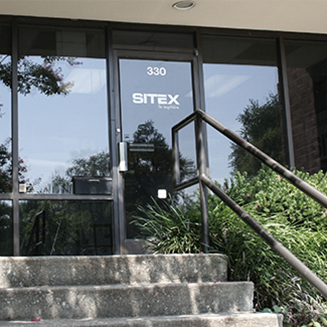 In December, 2008, SITEX acquired all of the uniform and textile rental business of Hart’s Rental Uniform Services, LLC in Lexington, KY. This acquisition added new routes in the Lexington market, added a few new team members, and increased our market share in Lexington, KY and the surrounding markets. It also gave us a revenue boost to begin our 2009 year…a year that will no doubt go down as one of the toughest business climates to date. 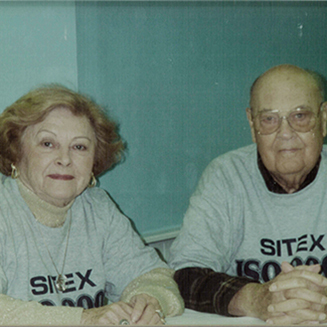 January 1, 2011, marked the 50th anniversary of SITEX. This milestone was a tribute to the founders, the Sights family, and all of the valued Team Members who have dedicated their time, energy, and hard work over the years. March 4, 2011, SITEX acquired all the mat, linen, and uniform business from Clayton’s Commercial Laundry in Evansville, IN. This acquisition added new routes in the Evansville and surrounding markets, a few new team members, and gave more to celebrate during our 50th anniversary year. Today, with our dedicated SITEX Team Members living our company’s credo to exceed our valued customers’ expectations by providing them with both quality and customer service of the highest standards, we feel extremely confident of a bright future.